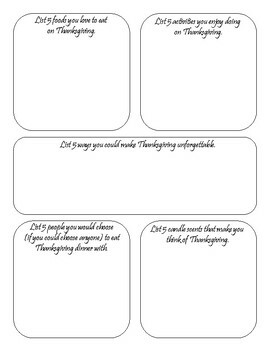 A fun, engaging, Thanksgiving activity to encourage students to think critically about various aspects of Thanksgiving. I have included differentiated levels of the activity. Also included is a page that only mentions this time of year (no mention of Thanksgiving) in case you are not wanting the activity to be about Thanksgiving, but rather this season. 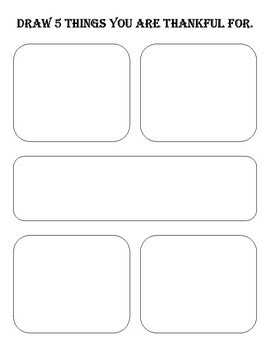 There are no correct or wrong answers, rather this product is designed to make students think. 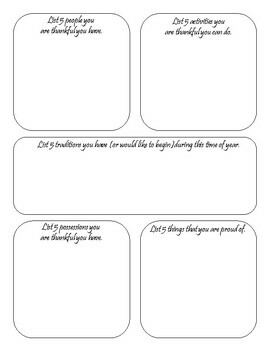 This would be a great activity for whole class, but could easily be used for your early finishers.